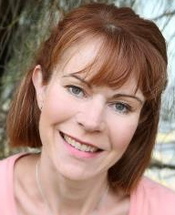 Ella Carey is the international bestselling author of four novels published in the US- Paris Time Capsule, The House by the Lake, From a Paris Balcony and Secret Shores. The books are published in twelve countries, in ten languages and Secret Shores has been shortlisted for an ARRA award in 2018. Ella has degrees in music, majoring in classical piano, and in Arts majoring in nineteenth century women�s fiction and modern European history. Ella's fifth novel, The Things We Don't Say, is set for release in the UK, Australia and the US on July 1st, 2018. Ella is working hard on her sixth novel. She writes full time. She lives in Melbourne with her two children and two Italian Greyhounds who are constantly mistaken for whippets.